Once you have decided to commit to counseling or consultation, the appropriate form needs to be completed. I prefer that you fill it out and email it back to me BEFORE your session, so that we may get right down to business! That said, confidentiality is limited to the security protection of basic e mail encryption. If you feel more comfortable printing it out and bringing it with you, that is also acceptable. You may review and print the Professional Disclosure Statement (includes information about confidentiality, cancellation and other important information), but we will review and sign this together in our first session. 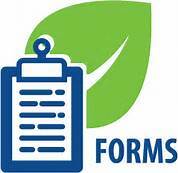 Email completed forms to bwellmindbodyspirit (at) gmail.com.